Opportunities for improving water security for urban and rural water users were put on the table this week at a meeting of mayors from Cowra, Forbes, Parkes and Lachlan Shires with Lachlan Valley Water. Lachlan Valley Water (LVW) chair, Tom Green, says the prosperity of the whole region is closely tied to both healthy towns and a successful agricultural sector. 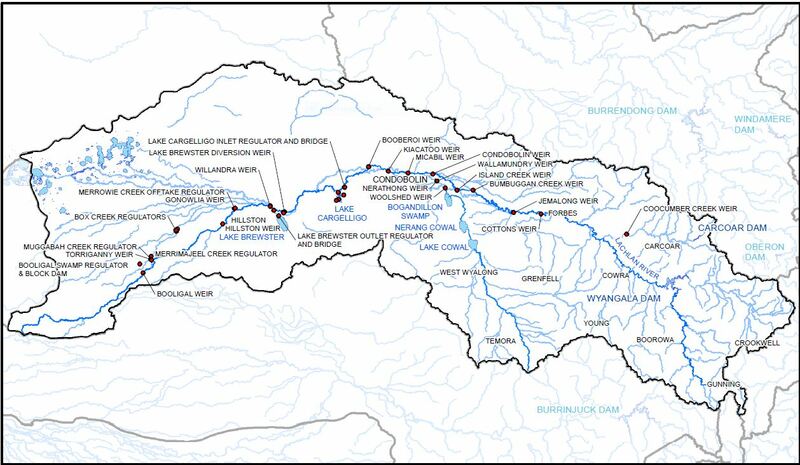 Recognising the vulnerability of the Lachlan catchment, the NSW Government is currently investigating a range of options to significantly improve water security and flood management in the Lachlan through its Lachlan Valley Water Security Investigations. Chair of Centroc, Cr John Medcalf says that with the Climate Council predicting more extremes in climate including prolonged periods of low rainfall, options under investigation that offer greater reliability of supply to both towns and agriculture are welcomed. “While urban water licences, at 15,500ML, are not a large volume in the overall valley entitlements, they still require a very high level of security; failure to deliver is socially unacceptable,” he adds. Cr Medcalf, believes improved delivery methods such as pipeline schemes should be part of the mix to ensure water security, as well as additional storage. The meeting agreed that how water is managed in the valley is a key factor with the development of the Lachlan Water Resource Plan providing an opportunity to improve reliability of supply for irrigators. Mr Green says improving water availability earlier in the season is the key to providing greater certainty for irrigators, something LVW has been advocating. The Centroc Board supports options that will enable the potential of our agricultural sector to be realised providing the security of supply for local water utilities is protected. “At the end of the day Centroc and Lachlan Valley Water share a mutual interest in greater security and reliability of water supplies for the sustainability of our communities,” says Cr Medcalf. We place great value on our collaborative working relationship for the health and well-being of the region.